Valtteri Bottas has insisted he won’t be getting involved in mind games with Mercedes teammate Lewis Hamilton during the 2018 Formula 1 season. 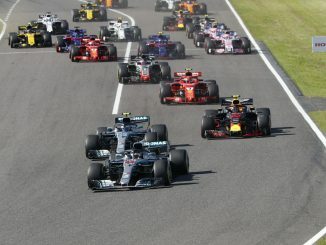 Both drivers are heading into the final year of their respective contracts with the team, but while the current drivers’ champion is expected to pen a new deal imminently, Bottas will be driving for his future at the team this season, with Esteban Ocon and Daniel Ricciardo linked with a move to the German manufacturer for 2019. Nico Rosberg, who Bottas replaced last year, previously admitted to playing mind games in a bid to put Hamilton off, but Hamilton ultimately appeared to get the better of the 2016 world champion, finishing ahead of the German in three of their four years as teammates. Speaking to the media during this week’s pre-season test in Barcelona, the Finn insisted he’d rather use his energy to focus on his own performance and results instead of concentrating on his teammate. 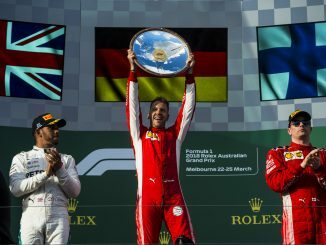 He hopes he’ll be able to challenge Hamilton more in his second season with Mercedes, having struggled to match the four-time champion’s pace in 2017, and believes he can challenge for a title of his own in 2018. Hamilton and Bottas appeared to enjoy an amicable relationship throughout 2017, which even saw them spending time playing computer game Trials Fusion together in the team’s hospitality area during a rain delay in Monza. If Bottas is more competitive in 2018, it could change the dynamic of their relationship. Hamilton and Rosberg insisted they were on friendly terms when the Brit moved to Mercedes in 2013, but when they were battling for titles their partnership became tense, resulting in multiple on-track collisions, the infamous hat-throwing incident and Hamilton suggesting Rosberg didn’t really have the hunger to win a title because he came from a wealthy background and was brought up in Monaco. 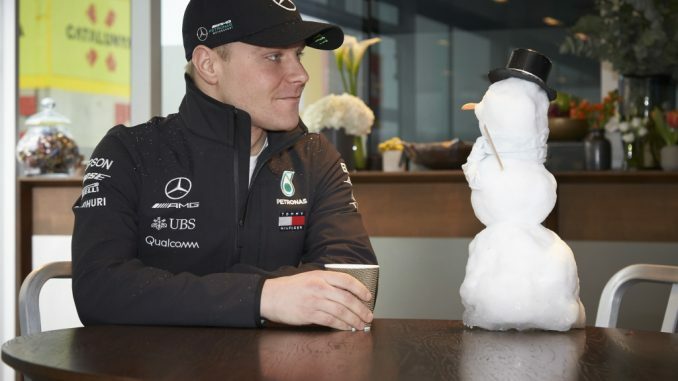 Bottas insists not having mind games works better, but that he won’t be afraid to show muscle on track when its needed. The former Williams driver believes he’ll have more wheel-to-wheel battles with Hamilton this year. 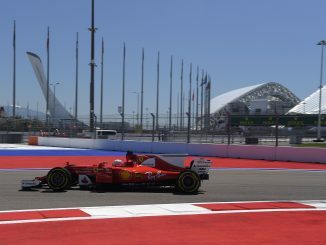 He was significantly quickly than the reigning world champion in the first day of testing in Barcelona this week, setting a lap time almost two seconds quicker than Hamilton at Circuit de Catalunya on Monday on the same tyre compound, although Bottas had longer running in the new car. If Bottas does pose a genuine threat to Hamilton’s title defence this season, it’s difficult to imagine Hamilton not trying to engage his teammate in a mental battle. If Bottas can avoid being dragged into such games and produce race-winning performances, he could be a serious contender in 2018.